Often paying for CNA classes can bring hard times to many families. But finding free CNA classes aren’t really as easy as finding paid CNA classes. The CNA class has a huge cost because of various training and instructional materials such as CNA instructors, CPR training, books, stethoscope and other clinical utilities. These costs combine to form a huge price tag which is hard for many to pay. For those who really can’t afford to pay for the courses, there are free CNA classes available too. You just need to head in correct direction to find it out. High Schools: Some high schools also offer a CNA program. In such case, the program can be a part of the graduation and be actually be free for you; however you might be charged the registration fee. If enrolled early enough, you can graduate with both, a high school diploma and a CNA certificate. Doing so, you can enter any medical or healthcare facility as soon as you graduate from the high school. Government fund and state programs: The US government offers various funds and scholarships to different community colleges. 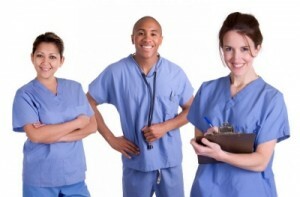 Most community colleges offer CNA training classes. So student who is a veteran or has family income less than $25000 is more likely to get government funds in form of grants. Also, in some states, the state might offer different grants and scholarships for those who are financially qualified or interested in learning. Joining Nursing Home: Some nursing homes prepare students for CNA examination at free of cost. Because nursing homes are based on donations and are non-profit organizations, they often provide free CNA classes to students desiring to pursue a career in this field. However, they often require the students to sign a contract stating them to work for the nursing home for a certain period of time. Healthcare Entities: Finally, you might find advertisements in newspapers or just contact your local medical centers or elderly care facilities and inquire to find out about free CNA classes or any kind of scholarship or funding available for CNA classes. If there are no advertisements, you can find free CNA training classes offered by retirement homes or medical centers by visiting their websites.